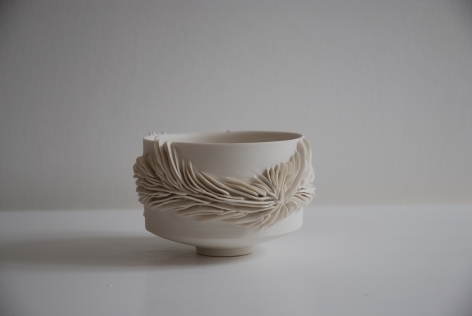 Olivia's work plays in the space where the man-made and the natural intersect. 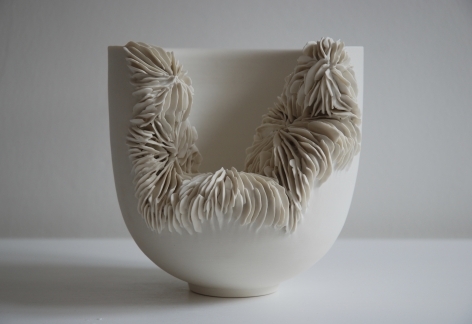 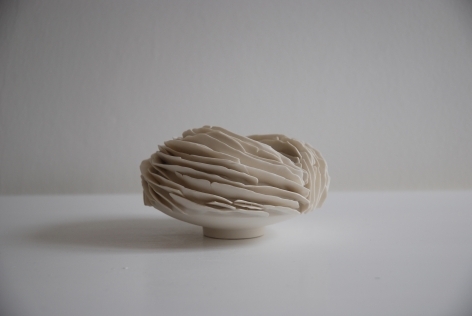 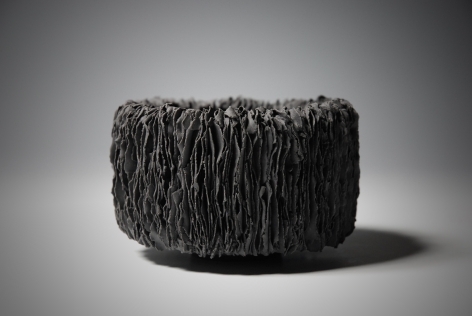 She throws precise forms in porcelain before submerging them in paper-thin accretions. 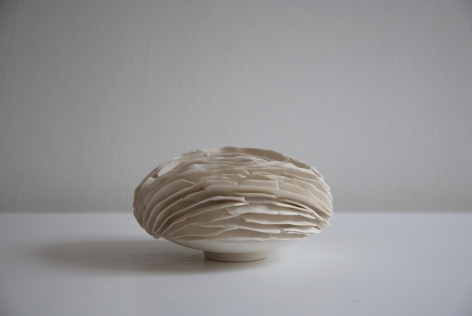 These accretions speak of organisms - fungus, coral and bacteria - but are unidentifiable, growing over and eating up the form beneath. 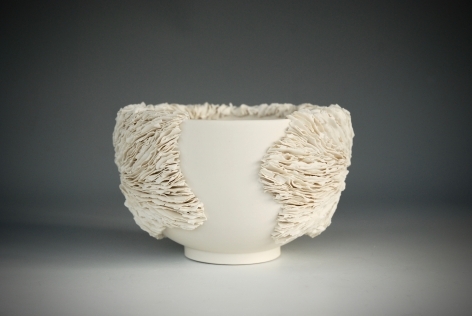 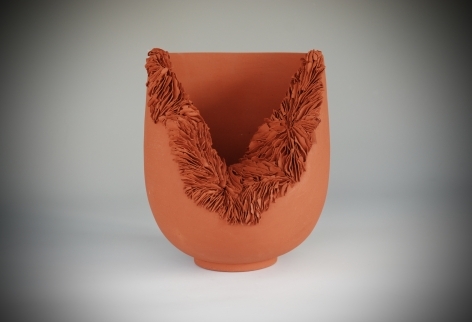 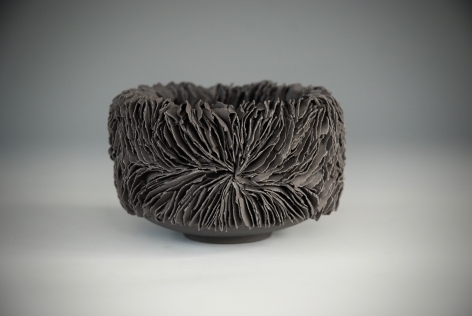 Her patience and pursuit of natural, organic forms on beautifully thrown pieces creates an intriguing tension between the deliberate and the naturally occurring. 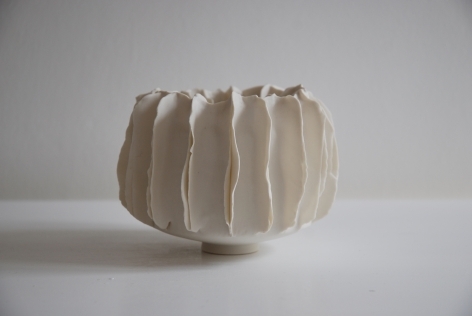 Olivia worked under under Julian Stair after completing her ceramics training at the University of Creative arts in Farnham and now works from her studio in Barcelona. 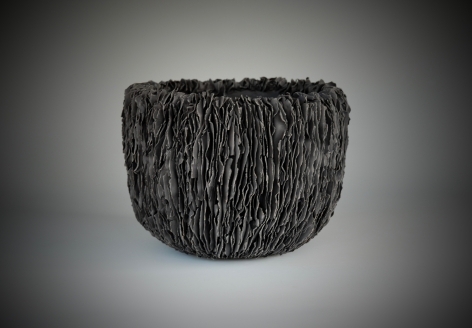 Olivia’s work has been collected internationally and been the focus of Ceramic Review’s “One To Watch” editorial in 2017.